Writing your own resume is a task that often makes you to be reliant on others, especially on the professional resume writing services offered by individuals professional writers or companies. A negative aspect of these services is that a considerable number of them are frauds, most small companies sitting somewhere overseas, which you hardly are aware of. You have to be careful in selection of a professional resume writer to make sure that your money is worth spent and you are not cheated for some fake resume writing service. There is no hard and fast rule how to choose a resume writing service, but you can weigh a number of options to help yourself decide which service suits your needs the most. 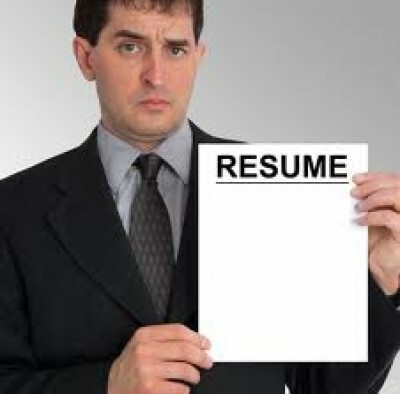 Search online about the companies and individuals who are offering resume writing services. Also, try to explore about their credentials, credibility and quality of services. You should make a list of such companies and take a decision later. Although writing fake testimonials to promote a fraudulent service is possible, try to read testimonials about the service providers. Also, contact a person if you find their email address somewhere on the service provider's website. You can also look for information in the company's brochures and pamphlets, and see which areas of the writing services they specialise in. Generally if a recruitment agency offers resume writing services, you can get one of their professional resume writers involved for your resume writing. Cost is one of the most important factors that will influence your final choice about selection of the best resume writing service provider. You cannot certainly spend more than your capacity, but sometimes selecting cheaper writing service provider is just a waste of money, because the quality is compromised. It is possible that any of your schoolmates or friends have already been in contact with a resume writing service provider, individual or a company. You can ask them and contact the person or company through their reference. It is a good way of finding a genuine person at a reasonable cost. If you have chosen a company for writing your resume, request them to link you up with the writer who actually will write your resume, and if they do, it is another way of judging the authenticity of the service provider. Also, you can further tell them about your choices and preference you want to be highlighted in your resume. This can further cut delays in communication between the writer and you.